Share the season! Brighten up the mail by sending a bit a fall to friends who are missing out on this year’s foliage. 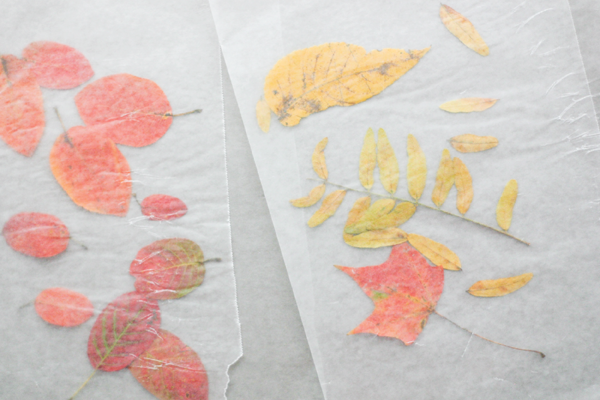 Make these fall flavored envelopes to carry your leaves safely through the mail. Step 1: Gather supplies! 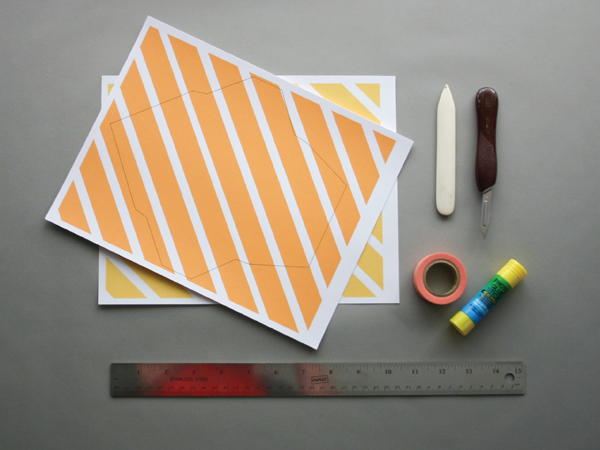 A straight edge, exacto knife, bone folder (optional), glue stick, click here to download the printout, and tape (optional). 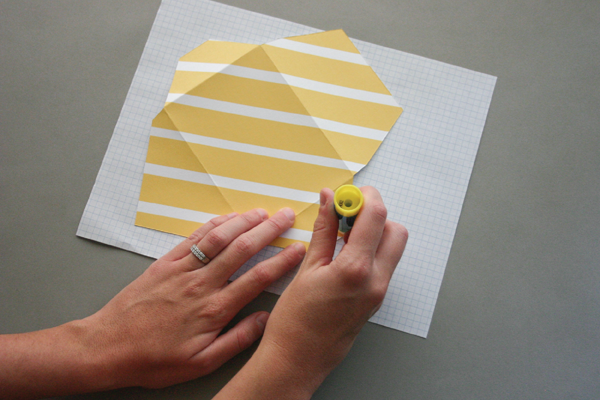 Step 2: Cut out the envelope by using the black line as a guide. It is best to keep the knife inside the guide, just so no black peeks through. Step 3: Fold four lines from corner to corner. For best results, use a bone folder. Glue the edges to the inside of the back flap. Step 4: Gather leaves, and press them in between wax paper and some heavy books for a few days. You’re ready to go! It’s the perfect way to brighten up the mail this fall. Download here. I love this! This would totally brighten up my day if I got it in the mail! Thanks for sharing! Love these!! Such a great tutorial for any time of year! These are really sweet, thanks for sharing the template. How fun! 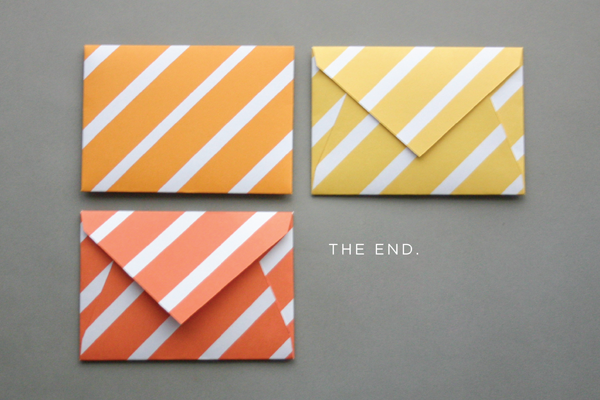 Those are the perfect fall colors and I just love the way the stripes interact on the back of the envelope. Thanks for the idea of what to do with all the random, “must stop to pick this up” leaves I find everyday. really really cute! I’m doing this today! Thank you so much for sharing!!!!!!!! I printed your templates and I’m about to cut the first fun envelope. I LOVE sending things to friends in the mail that aren’t bills!!!!! so cute, love these. stripes are the best! these are great! brightened my day up! I’m going to send one to my dad in LA, straight from the trees of canadaland! my favorite: stripey paper! thanks for the print out! these are perfect! thanks for sharing! love this! who wouldn’t enjoy a bit of fall arriving in such a pretty package? these are lovely! What a cute way to share a little bit of fall! ooops! Thank you for pointing out my typo. It is now correctly written. I’m going to use these for holiday cards this year! Living in Finland, I was one year ago so surprised as a big envelope arrived from New York. There was a letter from a friend who worked there for a while describing what he had done, and where he had gone and from where he had collected various leaves that he sent inside the letter. It is a very sweet letter and I still have it. Love it!! Thanks for the printable, too! I’m becoming totally obsessed with them. it’s so nice! i want to wrote a letter to my friend sense 2 month. i will do it now. i’m sure he gonna love it. I’ve been looking for a project with one of the materials being actual leaves. This is an awesome idea. Thanks for the inspiration & printable download! 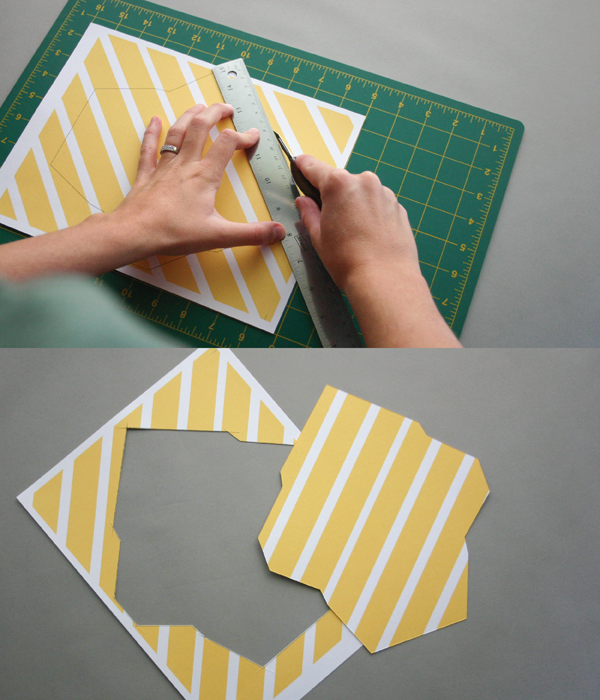 This is a festive and fun idea for greeting cards. 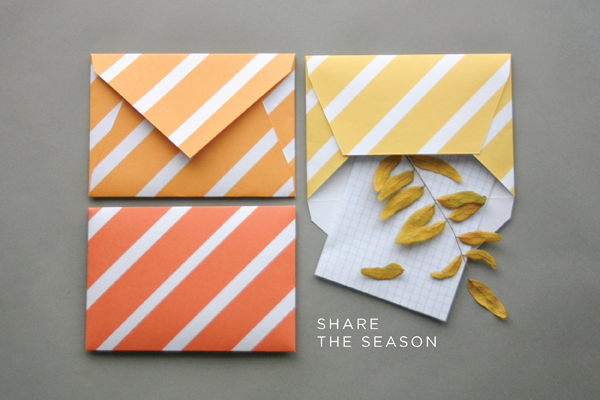 I love that you incorporated pressed fall leaves into the envelopes. Do you have some other ideas for decorations that could be added to the envelopes?